Rescuers on speedboats hauled rain-soaked residents off rooftops in the Philippine countryside on Wednesday after Typhoon Melor killed at least 11 people and cut power for millions. 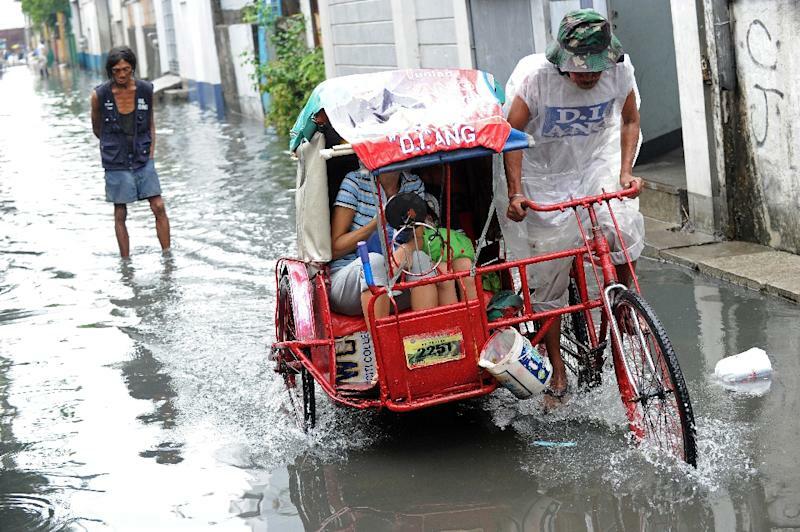 The typhoon, which tore in off the Pacific Ocean on Monday afternoon, caused widespread flooding across the northern and central regions and also dumped heavy rain on the sprawling capital of Manila. Head-high floods in the central islands began to subside on Wednesday, but parts of the rice-growing north were inundated with one-metre (three-feet) deep waters as torrents from mountain provinces cascaded downstream. Residents chased by fast-rising floodwaters to their rooftops swamped police lines overnight on Tuesday with frantic calls for rescue, said Senior Inspector Jemorie Vergara, police chief of the fishing town of Baco. Baco is located on Mindoro, a farming and fishing island of 1.2 million people, 120 kilometres (74 miles) south of Manila, which was pummelled by Melor Tuesday night. "The water rose so fast, people had no choice but to run to their roofs. They were crying for help," Vergara told AFP. Police on wooden-hulled boats braved strong flood currents on Tuesday night to rescue children and infants from rooftops, according to Vergara. Others were forced to stay on their roofs throughout Wednesday and only came down late in the day when floods subsided to knee-deep. However in the northern provinces of Nueva Ecija and Bulacan, floodwaters rose swiftly on Wednesday as water from mountain regions inundated by Melor overnight cascaded down, causing rivers and streams to swell. The same areas were flooded in October by Typhoon Koppu, which left 54 people killed and destroyed vast swathes of rice farms. Office supplies salesman Sem Sangoyo watched helplessly as pens and papers in his office supplies store in Cabanatuan, the capital of Nueva Ecija, floated in one-metre-deep floods. "We did not expect this at all. We have barely recovered from the last typhoon," Sangoyo told AFP by phone from the second floor of his store, where he ran for safety. Sangoyo said he was trapped in the same building for three days when Koppu hit. "I think I'll be trapped here again," he said. "I'm not even thinking about Christmas, I'm too worried about my lost inventory." Intense rain in Manila on Tuesday night submerged some roads and caused traffic chaos, although flooding in the megacity of 12 million had subsided by Wednesday morning. The death toll climbed to 11 on Wednesday after local authorities in Mindoro and neighbouring Romblon, a chain of three small islands known for its marble reserves, reported six deaths. The national disaster council also reported one more death due to drowning on Samar, an impoverished island of 1.5 million people in the eastern Philippines where Melor first made landfall. Five people have now been confirmed killed on Samar. Millions of people were also without power in the eastern Philippines and the central islands, with no guarantees electricity would be restored before Christmas. And 226,000 people remained in storm shelters, the national disaster council said. Melor's gusts weakened to 130 kilometres (81 miles) per hour as it moved further away to the South China Sea on Wednesday. However a new, albeit weaker, storm was forecast to hit the poor farming region of Canada in the main southern island of Mindanao late Friday, the weather bureau said. The storm would likely have winds of around 100 kilometres an hour when it make landfall, according to the state weather agency. 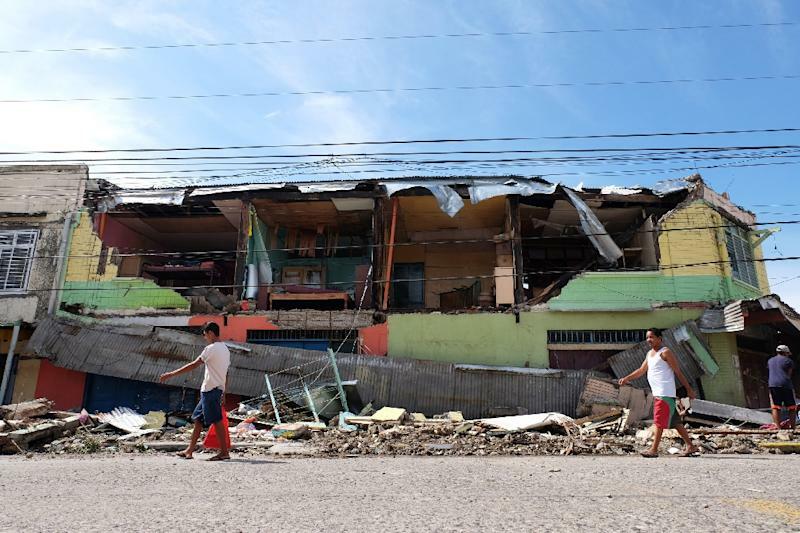 The Philippines is hit by an average of 20 typhoons a year, many of them deadly, with the strongest often happening towards the end of the year. 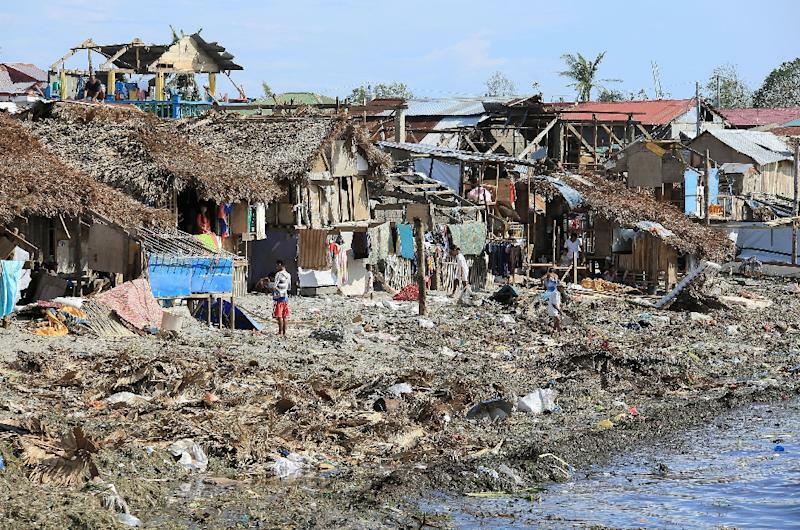 In November 2013 one of the strongest storms on record, Super Typhoon Haiyan, flattened entire communities in the central region with tsunami-like waves, leaving 7,350 people dead or missing.